Home » Blog » Garfield’s Early Birthday Bash! 15 JunGarfield’s Early Birthday Bash! Waiting for Garfield’s birthday on June 19th? Oh, paw-lease! The party has already started! Celebrate the 38th birthday of the world’s favorite Monday-hating, lasagna-crazed feline with this fabulous giveaway! 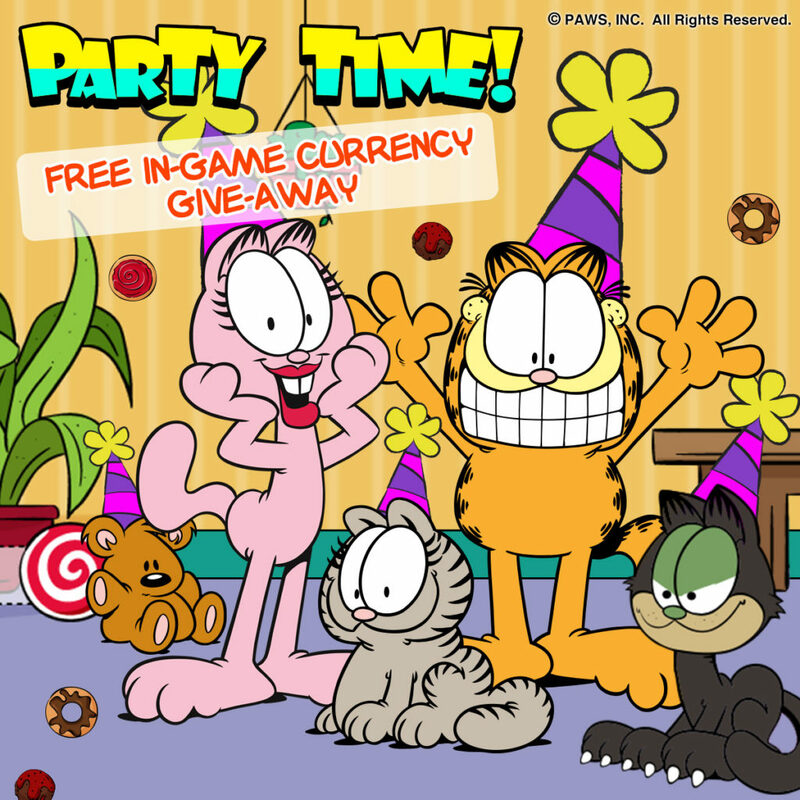 Head on over to Google Play and download participating Garfield games to get an amazing $70 worth of in-game currency, free! Check this link out for full details! It’s gonna be a long celebration, but don’t miss out! Happy 38th birthday, Garfield, and may your days overflow with lasagna!